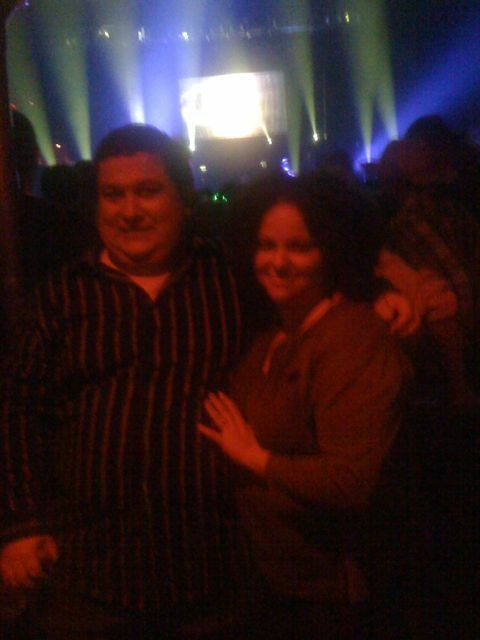 Last night we went to Roseland Ballroom to see one of our favorite DJ acts, Above & Beyond. We had a phenomenal time but didn’t dress up. I tried to dress up. I was going to pick my hair out into an Afro and go as a 70s librarian, complete with “Welcome to Funkytown Public Library” badge. But the clothes just made me look dowdy, and no one would get it. Plus the Afro wouldn’t hold up to last night’s weather. After a long meltdown I decided to follow Adam’s lead and be cool & comfortable in regular clothes. I wore a cardigan, which I totally pulled off despite being surrounded by cute young things in skimpy costumes. Here are some photos. We had dinner at Hill Country BBQ (so good) and then hit the club. 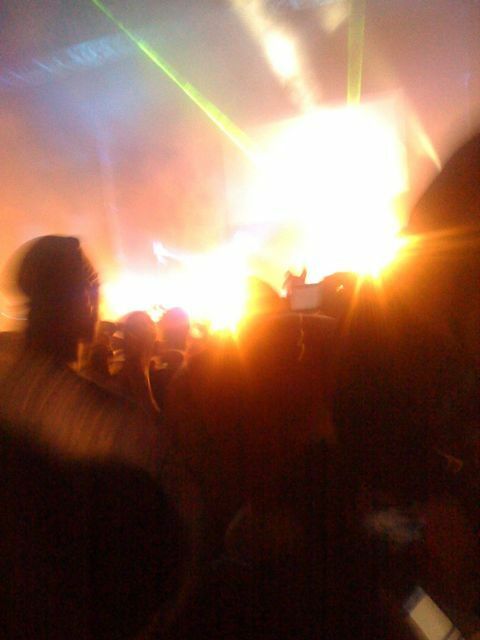 The dance floor was packed, and both Fedde le Grand and Above & Beyond kept everyone moving all night. We left around 3 (4am without the Daylight Savings switch) and the crowd was still going strong. Sometimes it’s just fun to go jump around on a dance floor with thousands of strangers, letting light shows surround you and music wash over you. Great fun. 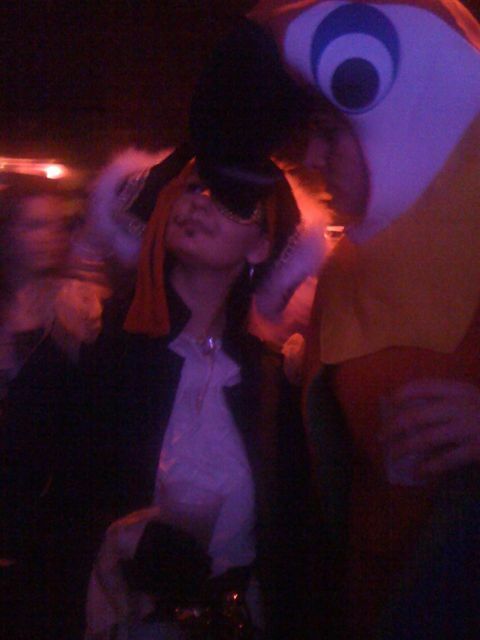 We went with our friends Laura Ann and Dan, who went as a pirate and a parrot. 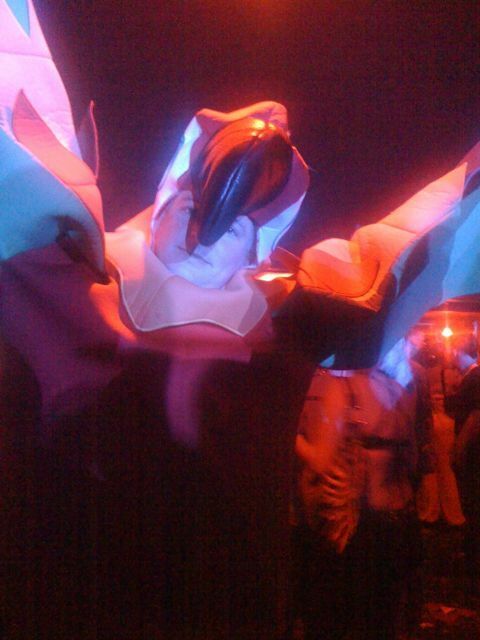 Dan just had this costume lying around all ready, and everyone wanted their pictures taken with the 6′ dancing bird. Dan in full parrot gear. He even had crackers. The Reeves enjoying the show. 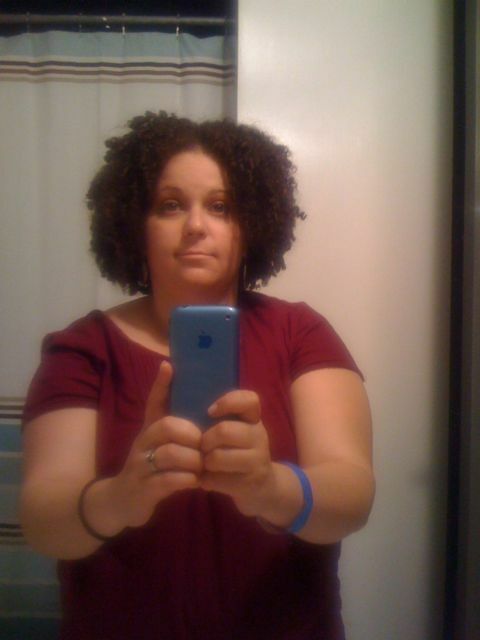 This is what my “afro” looked like by the end of the night. Not nearly as high, but still really good club hair. We stayed in the city last night and went to Billy’s Bakery this morning. We picked up some mighty delicious cupcakes, I was impressed. We ate them at home, but before we came back to Jersey we went to A Salt and Battery for fish n chips.